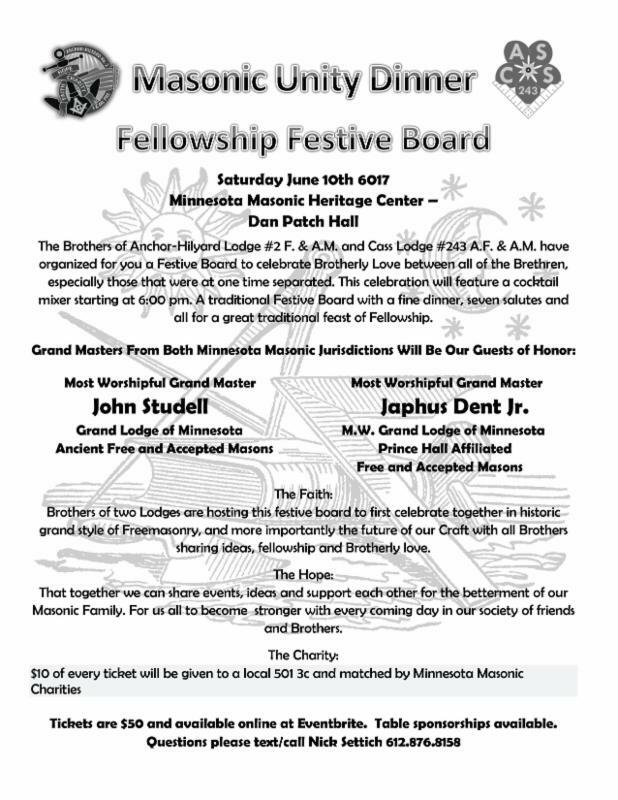 Minnesota will be hosting a very special event that unites the hearts of both regular grand lodges of Minnesota. Both Grand Masters will be present to give their remarks at the beautiful new Minnesota Masonic Heritage Center. Please join us for this incredible event.